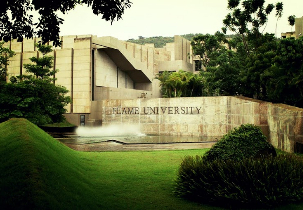 FLAME University is the reputed University which grooms the participants who have desire to achieve and give their best towards excellence in all phases of life. FLAME is the Jain Minority Institution. In the year 2014, The University was been set up as a state private university of the Government of Maharashtra. FLAME University and its degree programs are recognized by University Grants Commission (UGC). FLAME University’s postgraduate business program has got its approval by AICTE. The University has world class campus spread over 60 acres of land and it is the architectural Masterpiece. FLAME University offers degree programs on Undergraduate, Postgraduate, Executive and Doctoral. 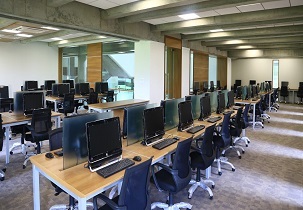 The University has modern facilities such as Cafeteria, Swimming pool, Auditorium, Library, Laboratory, Sports and Hostel. FLAME University organizes cultural fest named as “FLAME Fest” which has a various competitions such as advertising contests, Treasure hunt, LAN gaming, creative writing. It also organizes an intercollegiate cultural fest named “CREO”. The University organizes Inter collegiate sports competition called "Kurakshetra". FLAME University has many nearby places to hang out. The popular ones are Oxford Golf Resort and The O Golf Resort. Fact set, Daimler, Reliance, Berger, Vedanta, Atul Ltd, Axis Bank etc. 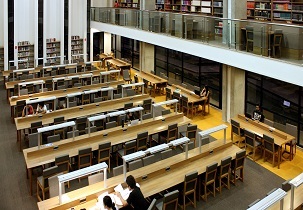 The University Library is the 1st international branch of the Library of Mistakes in Edinburgh, a non-profit corporation mainly founded to promote the financial history study. 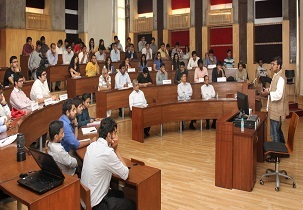 Few famous celebrities have visited the University like Amitabh Bachchan, Sajjan Jindal, Vindi Banga, Deepak Parekh, K.V. Kamath, Uday Kotak and Rakesh Jhunjhunwal. University has global prestigious institutes such as UK Oxford University, Canada King’s University, France IESEG school etc. and has international collaboration with many Nuffield college. Academic programs in the University provides student with the skills & technical knowledge they need to play an important part in their field. FLAME University is pleased to announce the immersion program for high school students to enhance their innovation. The curriculum of the University is to embraces traditions for future. FLAME University's has innovative programs that are designed for combining knowledge conservation with the spirit of adventure. FLAME College education includes development programs for leaders educators, professionals etc. The programs bring together the faculties of the main academic institutions and pioneers in their careers. University’s approach is to help students affirm themselves in an increasingly complex and to face the challenging global professional scenario. The basic courses allow students to explore different disciplines before deciding on their specialization options, which is an innovation in the context of Indian. Admissions to FLAME University occur in five distinct cycles. Admission in the University will be based on five cycles. 1st cycle admission process in the University is by choosing a particular Couse, 2nd cycle is assessment process, 3rd cycle is application process, 4th cycle is campus round similar to assessment process and the 5th cycle is application process in selected fields. 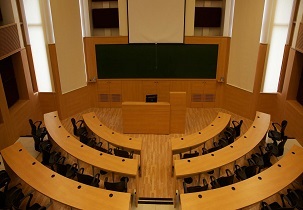 Selection process in the University depends on the performance of the candidates in Admission test such as SAT, FEAT, essay writing, pervious academic qualified marks and SOP process. 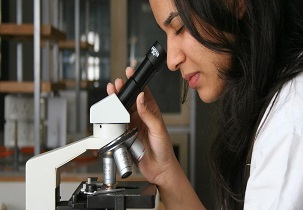 FLAME University organizes sample interviews, workshops to prepare students for job interviews. CRO invites potential organizations to participate in the campaign recruitment. During the exchange talks, recruitment companies conduct group discussions to place students on the most adjusted list. Finally, organizations interview students on the list for the final selection. Amazon, HDFC, Syntel, Money plant, Vedanta, Deloitte, Infosys, Amazon. University provides excellent hostel facilities separately for girls and boys. 3 different types of housing facilities are available. Styles of apartment with double sharing rooms are provided with common bathroom. Sharing rooms are provided on the basis of first come with additional charges. Twin sharing AC rooms are also available with all basic and comfort facilities. Sharing rooms, Mess, Reading room, gym all basic facilities. Are you Interested inFlame University"? Please provide the following details.